Djurleite: Mineral information, data and localities. "Extended" formula varies from Cu+60Cu2+2S32 to Cu+62Cu2+2S32 (Goble, 1985). A copper sulphide closely related to chalcocite and easily confused with the latter. Identification requires XRD or other suitable methods. Short, prismatic, thick tabular, massive compact. Chalcocite 51 photos of Djurleite associated with Chalcocite on mindat.org. Chalcopyrite 37 photos of Djurleite associated with Chalcopyrite on mindat.org. Quartz 15 photos of Djurleite associated with Quartz on mindat.org. Malachite 14 photos of Djurleite associated with Malachite on mindat.org. Neptunite 10 photos of Djurleite associated with Neptunite on mindat.org. Benitoite 9 photos of Djurleite associated with Benitoite on mindat.org. Pyrite 9 photos of Djurleite associated with Pyrite on mindat.org. Natrolite 8 photos of Djurleite associated with Natrolite on mindat.org. Covellite 7 photos of Djurleite associated with Covellite on mindat.org. Spionkopite 7 photos of Djurleite associated with Spionkopite on mindat.org. Roseboom, E.H. (1962) Djurleite, Cu1.96S, a new mineral. American Mineralogist: 47: 1181-1184. Zeitschrift für Kristallographie: 150: 299-320. Goble, R.J. (1985): The relationship between crystal structure, bonding and cell dimensions in the copper sulfides. Canadian Mineralogist, 23, 61-76. Pósfai, M. & Buseck, P. R. (1994): Djurleite, digenite, and chalcocite: Intergrowths and transformations. American Mineralogist, 79, 308-315. The following Djurleite specimens are currently listed for sale on minfind.com. Gablina, I.F., Semkova, T.A., Stepanova, T.V., and Gor'kova, N.V. (2006): Lithology and Mineral Resources 41(1), 27-44. Gablina, I. F., Dobretzova, I. G., Laiba, A. A., Narkevsky, E. V., Maksimov, F. E., & Kuznetsov, V. Y. (2018). Specific Features of Sulfide Ores in the Pobeda Hydrothermal Cluster, Mid-Atlantic Rise 17° 07′–17° 08′ N. Lithology and Mineral Resources, 53(6), 431-454. Specimen M 48903 registered with Museum Victoria; Melchiorre, E. B., & Williams, P. A. (2001). Stable isotope characterization of the thermal profile and subsurface biological activity during oxidation of the Great Australia deposit, Cloncurry, Queensland, Australia. Economic Geology, 96(7), 1685-1693. Vera Munro-Smith (2006) Cobalt Mineralisation in Selected Australian Deposits. PhD thesis, University of Western Sydney. ; Segnit, ER, 1980, An occurrence of rare selenide minerals at the Dianne Mine, Queensland. Australian Mineralogist. 33, p168-169. Richardson, S.M. and Day, A.D. (1997) Geology of the Esperanza copper deposit. Proceedings of the 3rd International Mining Geology Conference, Launceston. pg. 51-56; Vera Munro-Smith (2006) Cobalt Mineralisation in Selected Australian Deposits. PhD thesis, University of Western Sydney. Noble R.J., Just J. and Johnson J. E., 1983, Catalogue of South Australian Minerals-1983, Government Printer, Adelaide. ; Noble R.J., Just J. and Johnson J. E., 1983, Catalogue of South Australian Minerals:1983, Government Printer, Adelaide. Roberts, D.E., Hudson, G.R.T., and Li, Z. (1984): Geology and Prospecting 20(7), 32-37, 51; SA Geodata Database - Mineral Deposit Details Deposit Number: 3000; Ciobanu, C. L., Cook, N. J., Ehrig, K. (2017): Ore minerals down to the nanoscale: Cu-(Fe)-sulphides from the iron oxide copper gold deposit at Olympic Dam, South Australia. Ore Geology Review 81, 1218-1235. Keeling, J., Mauger, A. J., Scott, K. M., & Hartley, K. (2003). Alteration mineralogy and acid-sulphate weathering at Moonta copper mines, South Australia. Advances in Regolith, 230-233. Ralph Bottrill et al in prep. ; Bottrill, R. S. (2000). A Mineralogical Field Guide for the Western Tasmania Minerals and Museums Tour. Downes, P.J., Bevan, A.W.R., Costeo, D., Verrall, M. (2011) Mafic-hosted Secondary Mineralisation from the Shangri-La Pb-Ag-Au-Cu Mine Kimberley Western Australia, Australian Journal of Mineralogy, (Nov. 2011) 16: p15-24. Brandstätter, F., Niedermayr, G., Prasnik, H. & Walter, F. (2010): 1620) Analcim, Calcit, (Datolith), Djurleit, Epidot, Feldspäte, Hämatit, ged. Kupfer, Malachit, Prehnit und Quarz aus dem Steinbruch „Jakomini“ N Nötsch, Kärnten. P. 204-208 in Niedermayr et al. (2010): Neue Mineralfunde aus Österreich LIX. Carinthia II, 200./120., 199-260. Kolitsch, U. & Slama, M. (2016): Zur Mineralogie des niederösterreichischen Anteils des Semmering-Basistunnels: ein erster Bericht. Der Steirische Mineralog 31, 20-27 (in German). Kolitsch, U., Brandstätter, F., Niedermayr, G. & Walter, F. (2012): 1749) Carbonatcyanotrichit („Cyanotrichit“) und Djurleit aus dem Bereich des Totenkopfes im Stubachtal, Salzburg. P. 153 in Niedermayr, G. et al. (2012): Neue Mineralfunde aus Österreich LXI. Carinthia II, 202./122., 123-180. - Bojar, H.P., Postl, W. (1999): 1192. Ein Silber-Gold-Amalgam, ged.Gold(? ), ged.Kupfer, Cuprit, Djurleit, Yarrowit, Spionkopit, Azurit(?) und Quarz aus dem Grazer Schloßberg, Graz, Steiermark. In: Niedermayr et al. (1999): Neue Mineralfunde aus Österreich XLVIII.- Carinthia II, 189/109, p.230-231. Raith, J. G., Leitner, T., & Paar, W. H. (2015). Orogenic-type copper-gold-arsenic-(bismuth) mineralization at Flatschach (Eastern Alps), Austria. Mineralogy and Petrology, 109(5), 531-553. Gröbner, J. (2000): Neue Mineralienfunde aus Österreich (2). Mineralien-Welt, 11 (5), 49-51. Paar, W.H. & Meixner, H. (1979): Neues aus den Kupfererz-Gängen des Flatschacher Bergbau-Reviers bei Knittelfeld, Steiermark. Karinthin, 81: 148-150. Hatert, F., Deliens, M., Fransolet, A.-M. & van der Meersche, E. (2002): Les minéraux de Belgique. 2ème édition, Muséum des Sciences Naturelles, Bruxelles, Ed., 304 p.
Blondieau, M. (2005): Les gisements minéraux du Salmien dans le massif de Stavelot. Published by M. Blondieau, Tellin, Belgium, 90 pp. -	Blondieau, M. (2005): Les gisements minéraux du Salmien dans le massif de Stavelot. Published by M. Blondieau, Tellin, Belgium, 90 pp. Bello, Rosa M. S. (1986) "Jazida de cobre de Surubim, vale do Curuçá, Bahia: mineralogia, petrologia e petrogenese"
MacMichael, T.P, "The origin of the lead-zinc-silver ores and alteration of the surrounding granite at the Dunbrack Mine, Musquodoboit Harbour, Nova Scotia", unpublished Honours Thesis (B.Sc. ), Dalhousie University, Canada, 1975. HORVÁTH, L., PFENNINGER-HORVÁTH, E. (2000) I minerali di Mont-Saint-Hilaire (Québec, Canada) Rivista Mineralogica Italiana, XXIV, 140-202 (in Italian with English summary). Kampf, A.R., Mills, S.J., Rumsey, M. S., Dini, M., Birch, W. D., Spratt, J., Pluth, J.J., Steele, I. M., Jenkins, R. A., and Pinch, W. W. (2012): The heteromolybdate family: structural relations, nomenclature scheme and new species. Mineralogical Magazine, 76(5), 1175-1207. Flint, S. (1986): Sedimentary and diagenetic controls on red-bed ore genesis: the Middle Tertiary San Bartolo copper deposit, Antofagasta Province, Chile. Economic Geology 81, 761-778. C. Ruiz Fuller/F. Peebles (1988): "Yacimientos metalíferos de Chile": Fondecyt, Stgo de Chile. Suluezert, Y., ol Japan, G. S., Kawata-cho, S., & AestRAcr, T. (1969). 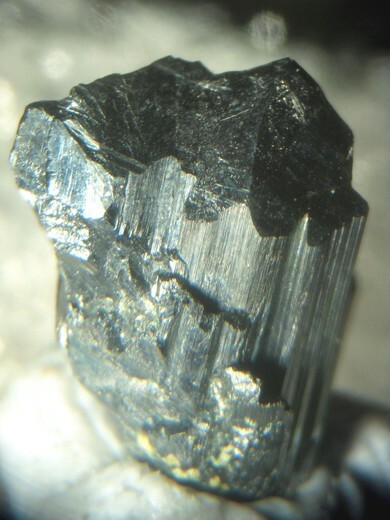 Anilite, Cuzsn, A New Mineral. The American Mineralogist, 54. Yu Liu, Wenyuan Liu, and Shaohuai Wang (2011): Mineral Deposits 30(4), 735-741; Huang, H., Wang, S., & Chi, C. (2014). Identification of the complete Cu–S series minerals from the Zijinshan Cu–Au deposit, Fujian Province. Geol. J. China Univ., 20, 50-57. Singer, D.A., Berger, V.I., and Moring, B.C. (2002): USGS Open-File Report 02-268. Pauliš P. Mineralogické lokality okolí Kutné Hory. Kuttna, Kutná Hora 1999. ISBN 80-902719-0-1. 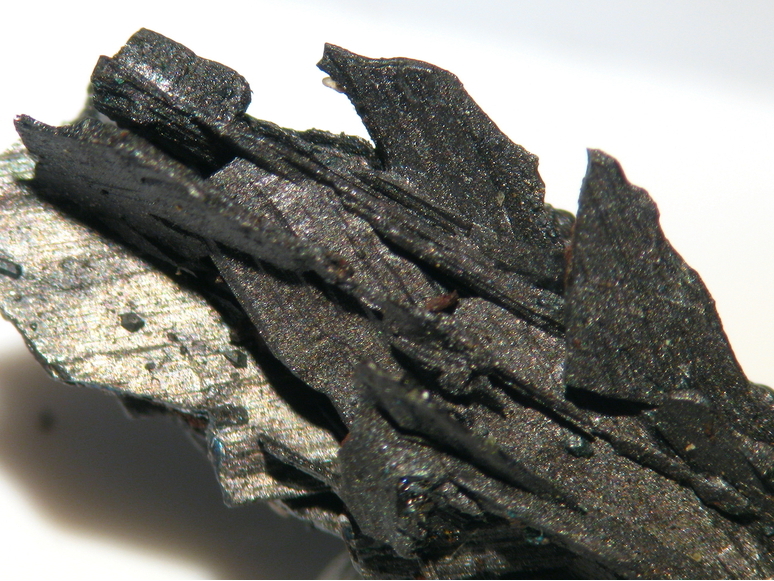 PAVLU, D. (1984): Djurleite and stannoidite from the tin-tungsten deposit at Krasno nad Teplou (Czechoslovakia). - Vestnik Ústredního Ústavu Geologického (Bulletin of the Geological Survey, Prague) 59 (6), 351-354. Malec J. et al. : Jacutingait, paladiové zlato a Pd-selenidy v Cu-zrudnění z karbonských sedimentù od Košťálova u Semil (podkrkonošská pánev). Zprávy o geologických výzkumech v roce 2011, Mineralogie, petrologie a geochemie, 189-192. Pauliš, P., Malec, J.: Výskyt Cu-mineralizace v permském melafyru od Košťálova u Semil (podkrkonošská pánev, Česká republika). Bulletin mineralogicko-petrografického oddělení Národního muzea v Praze, 2010, roč. 18, č. 2, s. 106-108. Sejkora, J. et al. (2016): Se and Cu mineralization from Bilá Voda near Javornik (Czech Republic). Bull. mineral.-petrolog. Odd. Nár. Muz. (Praha) 24, 161-177 (in Czech with English abstract). Fojt, B., Hladíková, J., Kalenda, F.: Zlaté Hory ve Slezsku – největší rudní revír v Jeseníkách. Část 2.: C. Geologie D. Mineralogie E. geochemie stabilních prvků. Acta Musei Moraviae, Scientiae geologicae, 2001, roč. 86, s. 3 - 58. Torró, L., Proenza, J. A., Melgarejo, J. C., Alfonso, P., de Pablo, J. F., Colomer, J. M., ... & Chávez, C. (2016). Mineralogy, geochemistry and sulfur isotope characterization of Cerro de Maimón (Dominican Republic), San Fernando and Antonio (Cuba) Lower Cretaceous VMS deposits: formation during subduction initiation of the Proto-Caribbean lithosphere within a fore-arc. Ore Geology Reviews, 72, 794-817. J. Cailteux, F. Dimanche : "Examen des oxydes de fer et titane dans l'environnement du gisement de cuivre de Musoshi (Shaba, République du Zaïre)", Bull. Soc. Fr. Minéral. Cristallogr. , 1973, 96, 378-382. Chollet Pascal collection - XRD analysed by Michel Blondieau at "Laboratoire de minéralogie, Université de Liège - Belgium"
M.Deliens, C.Lheur, W.Peraud & D.Virlogeux (2004)- Les minéraux d'uranium du Boucheron, près de Davignac (Corrèze)- Le Cahier des Micromonteurs, n°84, pp 3-25. Gröbner, J. (2017): Zálesíit von Oberhepschingen im Wiesental, Südschwarzwald, sowie ein aktueller Überblick über Agarditvorkommen im Schwarzwald. Erzgräber 31 (1), 1-9. Schrenk, D. (2000): Die Minerale des Steinbruchs 'Blessing' bei Hornberg. Erzgräber, 14 (1), 10-17. Walenta, K. (2001): Neue Mineralfunde aus dem Schwarzwald. 8. Folge, 1. Teil. Lapis, 26 (2), 39-42. Kopp, J. C., Spieth, V., & Bernhardt, H. J. (2012). Precious metals and selenides mineralisation in the copper-silver deposit Spremberg-Graustein, Niederlausitz, SE-Germany [Edelmetall-und Selenerze in der Kupfer-Silber-Lagerstätte Spremberg-Graustein, Niederlausitz, SE-Deutschland]. Zeitschrift der deutschen Gesellschaft für Geowissenschaften, 163(4), 361-384. Golze, R.; Henrich, M.; Hucko, S.; Stötzel, N. (2013): Siegerland & Westerwald. Bergbaugeschichte - Mineralienschätze - Fundorte, pp. 371-379. Bungert, R., Frey, W.-G. & Hesse, P. (2008): Die Mineralien des Steinbruchs Rammelsbach am Remigiusberg, Pfalz. Lapis 33 (11), 16-21; 56. Der Kupferschieferbergbau bei Mansfeld, Eisleben und Sangerhausen; S.Jahn, H.Hörold, B.Friedich. J. Gröbner und U. Kolitsch (2006): Neufunde aus dem Erzgebirge (II). Mineralien-Welt 17 (3), 22-27. Kolitsch, U. (1997): Das Ca-Analogon von Petersit und einige weitere Neufunde aus dem sächsisch-böhmischen Erzgebirge und dem Vogtland. Mineralien-Welt 8 (4), 17-20. S. G. Tenainkai, A. G. Ugarkar, M. V. Koti and A. Mookherjee (1991) Copper-bearing clay minerals of the oxidized zone of the Rakha-Chapri Block, Singhbhum Copper Belt, India. Proceedings of the Indian Academy of Sciences, Earth and Planetary Sciences, 100, 13-30. Panigrahi, M.K., and Mookherjee, A. (1997): Mineralium Deposita 32, 133-148.; Sikka, D. B., Petruk, W., Nehru, C. E., & Zhang, Z. (1991). Geochemistry of secondary copper minerals from Proterozoic porphyry copper deposit, Malanjkhand, India. Ore Geology Reviews, 6(2-3), 257-290. SALEHI, L., RASA, I., ALIREZAEI, S., & KAZEMI, M. A. (2016). THE MADAN BOZORG, VOLCANIC-HOSTED COPPER DEPOSIT, EAST SHAHROUD; AN EXAMPLE OF MANTO TYPE COPPER DEPOSITS IN IRAN. WEN, N., ASHWORTH, J.R. & IXER, R.A. (1991). Evidence for the mechanism of the reaction producing a bournonite-galena symplectite from meneghinite. Mineralogical Magazine 55, 153-8.; WEN, N., ASHWORTH, J.R. & IXER, R.A. (1991). Evidence for the mechanism of the reaction producing a bournonite-galena symplectite from meneghinite. Mineralogical Magazine 55, 153-8. Ixer, R.A. 2004. Catalogue of Petrographic Descriptions for Rock and Ore Samples, Ross Island Mine. In: O'Brien, W. ed. Ross Island - Mining, Metal and Society in Early Ireland. Bronze Age Studies 6, Department of Archaeology, National University of Ireland, Galway, 768pp. Shlomovitch, N., Bar-Matthews, M., & Matthews, A. (1999). Sedimentary and epigenetic copper mineral assemblages in the Cambrian Timna Formation, southern Israel. Israel Journal of Earth Sciences, 48(140), 195-208. • Barresi, A.A., Kolitsch, U., Ciriotti, M.E., Ambrino, P., Bracco, R., Bonacina, E. (2005): La miniera di manganese di Varenche (Aosta, Italia nord-occidentale): ardennite, arseniopleite, manganberzeliite, pirofanite, sarkinite, thortveitite, nuovo As-Sc-analogo della metavariscite e altre specie. Micro (località), 2/2005, 81-122. Bedognè, F., Montrasio, A., Sciesa, E. (1993) I minerali della provincia di Sondrio: Valmalenco. Bettini, Sondrio, 275 pp. Piccoli, G.C., Maletto, G., Bosio, P., Lombardo, B. (2007): Minerali del Piemonte e della Valle d'Aosta. Associazione Amici del Museo "F. Eusebio" Alba, Ed., Alba (Cuneo) 607 pp. Albertini, C. (1991) L'Alpe Devero ed i suoi minerali. Edizioni Grafica P.G.A., Dormelletto (Novara), 299 pp. ; Piccoli, G.C., Maletto, G., Bosio, P., Lombardo, B. (2007) Minerali del Piemonte e della Valle d'Aosta. Associazione Amici del Museo "F. Eusebio" di Alba, L'Artigiana Srl - Azienda Grafica, Alba (Cuneo), 607 pp. ; Albertini, C. (2009) La cava di amianto della Rossa, Devero. La mineralizzazione a cuprite e djurleite. Rivista Mineralogica Italiana, 33, 1 (1-2009), 64-68. Stara, P., Rizzo, R., Tanca, G.A. (1996): Iglesiente - Arburese. Miniere e Minerali. Edito a cura dell'EMSA e "varie associazioni mineralogiche", Volume 1, 238 pp. De Michele, V. (1974). Guida mineralogica d'Italia. Istituto Geografico De Agostini, Novara, 2 vol. ; G. P. Bernhardini, F. Corsini, AND G. Tanelli (1973) Djurleite from Calabona, Sardinia MINERALOGICAL MAGAZINE, VOL. 39, PP 25-29. Brizzi, G., Olmi, F., Sabelli, C. (1994): Gli arseniati di Pira Inferida, Gonnofanadiga (CA). Rivista Mineralogica Italiana, 17, 3 (3-1994), 193-206. Folie, K., Gentile, P., Hanke, M., Rocchetti, I. (2010): Mineralien aus der Umgebung des Pfitscher Jochs in Südtirol (II). Mineralien-Welt, 21, 4, 42-67. Amodio Morelli L., Menchetti S., 1969. Su alcuni minerali della zona del Bottino e del Canale dell'Angina-Zulfello (Alpi Apuane). Atti Soc. Tosc. Sci. Nat., Mem., Serie A: 417-445. Brizzi G., Meli R., 1996. I minerali della formazione ofiolitica dell'Impruneta (FI). Riv. Miner. Ital., 20: 81-98. Boscardin M., Daleffe A., Rocchetti I., Zordan A. “I minerali nel Vicentino”, Museo “G. Zannato”, Montecchio Maggiore (Vicenza), 2011. Matsubara, S., Kato, A., Shimizu, M., Sekiuchi, K., and Suzuki, M. (1996) Romeite from the Gozaisho mine, Iwaki, Japan. Mineralogical Journal 18, 155-160. Shimizu, M. et al. (1988) Mineralogical Journal, 14, 92-100. Sal'kov, S. A.; Syusyura, B. B.; Glybovskii, V. O.; Kirichenko, I. V. (1989): Types of ore mineralization in the Zhaman-​Aibat deposit of cupriferous sandstones. Izvestiya Akademii Nauk Kazakhskoi SSR, Seriya Geologicheskaya 1989 (5), 48-55 (in Russian). Schnaitmann, E. A. 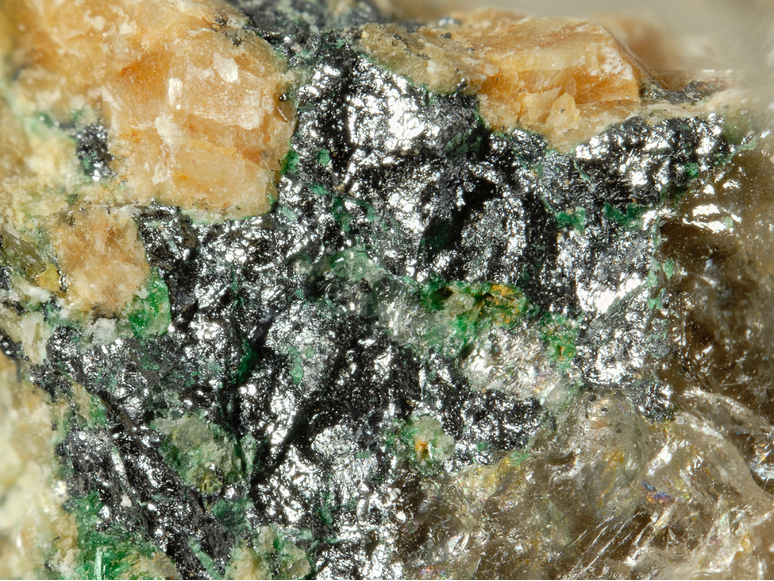 & Jahn, S. (2010): Mineralien aus Schürfen im Kaokoveld, Namibia. Mineralien-Welt 21 (2), 78-90. - Brandstätter, F.; Niedermayr, G.; Schnaitmann,E. A.; Walter F. (2011): Neue Fundstelle in Namibia: Die Van-der-Plas-Mine im Kaokoland. Mineralien Welt 22 (5), 66-75. Norges geologiske undersøkelse. Malmdatabasen. Grusen.Forekomst nr.6 i Fyresdal (0831) kommune (Updated 19.des.2007). Witsø, Tor (1994): Oppdal. Et spennende geologisk område. Oppdal. 24 pp. Published by Fridtjov Witsø, Oppdal. Noku, S.K., Espi, J.O., Matsueda, H. (2012) Magmatic contributions to the mineralization of the Laloki and Federal Flag strata-bound massive sulfide deposits, Papua New Guinea: Sulfur isotope evidence. Paper presented at PNG Research, Science and Technology Conference, Pacific Adventist University, Port Moresby, Papua New Guinea. Singer, D.A., Berger, V.I., and Moring, B.C. (2005): USGS Open-File Report 05-1060; Espi, J.O., Kajiwara, Y., Hawkins, M.A., and Bainbridge T. (2002): Hydrothermal alteration and Cu-Au mineralization at the Nena high sulfidation-type deposit, Frieda River, Papua New Guinea. Resource Geology 52(4), 301–313. David Braxton and Ryan Mathur (2011): Exploration Applications of Copper Isotopes in the Supergene Environment: A Case Study of the Bayugo Porphyry Copper-Gold Deposit, Southern Philippines. Economic Geology, 106, 1447-1463. Oszczepalski, S. (1999): Mineralium Deposita 34, 599-613. Piestrzynski, A., and Wodzicki, A. (2000): Mineralium Deposita 35, 37-47. Pekov, I.V., Lykova, I.S. (2011) Rubtsovskoe deposit, - Mineralogical Almanac, Vol. 16, 96 pp (in Rus). Shumilov, I.K. (2008): Geology of Ore Deposits 50(8), 763-771.
ⓘ North Vozhma deposit ? Kuleshevich, L.V., Tytyk, V.M., and Fedyuk, Z.N. (2007): Geology of Ore Deposits 49(7), 607-613. A. Paniagua et al. , Bull. Minéral. , 1988, 111, pp. 383-391. Nysten, P. (1996): Paragenetic setting and crystal chemistry of milarites from Proterozoic granitic pegmatites in Sweden. Neues Jahrbuch für Mineralogie, Monatshefte 1996, 564-576. Nysten, P., Holtstam, D. and Jonsson, E. (1999) The Långban minerals. In Långban - The mines,their minerals, geology and explorers (D. Holtstam and J. Langhof, eds. ), Swedish Museum of Natural History and Raster Förlag, Stockholm & Chr. Weise Verlag, Munich, pp. 89-183. Stalder, H. A., Wagner, A., Graeser, S. and Stuker, P. (1998): Mineralienlexikon der Schweiz. Wepf (Basel), p. 109. Stalder, H. A., Wagner, A., Graeser, S. and Stuker, P. (1998): Mineralienlexikon der Schweiz. Wepf (Basel), p. 138. - Meisser, N. (2012): La minéralogie de l'uranium dans le massif des Aiguilles Rouges. Matér. Géol. Suisse, Sér. géotech. 96, 183 p.
Embrey, P.G. (1978) Fourth supplementary list of British minerals. Mineralogical Magazine, vol. 42, n° 322, 169-177.; Golley, P. & Williams, R. (1995): Cornish Mineral Reference Manual. Endsleigh Publications (Truro), 104 pp. Embrey, P.G. (1978) Fourth supplementary list of British minerals. Mineralogical Magazine, vol. 42, n° 322, 169-177.; Golley & Williams, 1996, 24 - "Cornish Mineral Reference Manual"
Stanley, C.J. and Vaughan, D.J. (1981) Native antimony and bournonite intergrowths in galena from the English Lake District. Mineralogical Magazine, 44(335), 257-260.; Cooper, M.P. and Stanley, C.J. (1990) Minerals of the English Lake District: Caldbeck Fells. Natural History Museum Publications, London, 160 pp. (referring to Stanley & Vaughan, 1981). Bridges, T.F., Green, D.I., Rumsey, M.S., and Leppington, C.M. (2008) A review of the mineralisation at Red Gill Mine, Caldbeck Fells, Cumbria, England. Journal of the Russell Society, vol. 11, 29-47.
Cooper, M.P. and Stanley, C.J. (1991) Famous Mineral Localities: Pyromorphite Group Minerals from the Caldbeck Fells, Cumbria, England. Mineralogical Record, 22(2), 105-121. Faithfull, J., Young, B., Starkey, R.E. (2012) Copper mineralisation at Rassal, Kishorn, Highland Region. Journal of the Russell Society, Vol. 15, pg. 49-58. Mineralogical Magazine 1996 60 : 978-982. U.S. Geological Survey, 2008, Alaska Resource Data File (ARDF): U.S. Geological Survey Open-File Report 2008-1225. Anthony, J.W., et al (1995), Mineralogy of Arizona, 3rd.ed. : 206; Roseboom, Jr., E.H. (1966), An investigation of the system Cu-S and some natural copper sulfides between 25º and 700º, Econ.Geol. : 61: 641-672. Anthony, J.W., et al (1995), Mineralogy of Arizona, 3rd.ed. : 238; Williams, S.A. & P. Matter, III (1975), Graemite, a new Bisbee mineral, Min.Rec. : 6:32-34. Anthony, J.W., et al (1995), Mineralogy of Arizona, 3rd.ed. : 146. Anthony, J.W., et al (1995), Mineralogy of Arizona, 3rd.ed. : 311.
:	Anthony, J.W. & R.B. Laughton (1970), Kinoite, A new hydrous copper calcium silicate mineral from Arizona, American Mineralogist: 55: 709-713. Anthony, J.W., et al (1995), Mineralogy of Arizona, 3rd.ed. : 185, 268; Anthony, J.W. & R.B. Laughton (1970), Kinoite, A new hydrous copper calcium silicate mineral from Arizona, Am.Min. : 55: 709-713..
Anthony, J.W., et al (1995), Mineralogy of Arizona, 3rd.ed. : 206; Anthony, J.W. & R.B. Laughon (1970), Kinoite, a new hydrous copper calcium silicate mineral from AZ, Am.Min. : 55: 709-713. Anthony, J.W., et al (1995), Mineralogy of Arizona, 3rd.ed. : 206. Anthony, J.W., et al (1995), Mineralogy of Arizona, 3rd.ed. : 163, 206; Barnes, R. & M. Hay (1983), Famous mineral localities: The Magma Mine, Min.Rec. : 14: 72-82; Morimoto, N. & A. Gyobu (1971), The composition and stability of digenite, AmMin. : 56: 1889-1909. Potter, R.W. and Evans, H.T. (1976) Definitive X-ray powder data for covellite, anilite, djurleite and chalcocite. USGS Jour. Res. : 4: 205-212; Pemberton, H. Earl (1983), Minerals of California; Van Nostrand Reinholt Press: 98; Wise, W.S & Gill, R.H. (1977): Minerals of the Benitoite Gem mine. Mineralogical Record 8, 442-452. Olds, T. (2012) Mercury minerals of the Huron River Uranium Prospect, Baraga County, Michigan. Rocks & Minerals, 87, #2, 134-139. Min.Rec. : 23:64; Rocks & Min. : 58:112; 61:345. Leach, D. L., Viets, J. B., Foley-Ayuso, N., & Klein, D. P. (1995). Mississippi Valley-type Pb-Zn deposits. Preliminary compilation of descriptive geoenvironmental mineral deposit models. US Geological Survey Open-File Report, 95-831. Cook, D.K. : Recent work on the minerals of Franklin and Sterling Hill, NJ: Mineralogical Record:4:62-66 (1973); Dunn(1995):Pt4:532. Jenkins, R.A. II & Misiur, S.C.: Mineralogical Record:25:95-102, erratum:386; Dunn(1995):Pt4:532. Economic Geology; August 1980; v. 75; no. 5; p. 722-729; GSA Conference North-Central Section - 37th Annual Meeting (March 24–25, 2003) Paper No. 8-10 THE REPLACEMENT CHARACTER OF COPPER-SILVER MINERALIZATION IN THE PERMIAN FLOWERPOT SHALE AND WELLINGTON SANDSTONE FORMATIONS OF OKLAHOMA HAGNI, Richard D.
Robert C. Smith & Donald T. Hoff, Geology and Mineralogy of Copper-Uranium Occurrences in the Picture Rocks and Sonestown Quadrangles, Lycoming and Sullivan Counties, Pennsylvania. Pennsylvania Geological Survey, Harrisburg, Fourth Series, 1984. Jacobs, T. T. (2016). Process mineralogical characterisation of the Kansanshi copper ore, NW Zambia (Masters thesis, University of Cape Town).